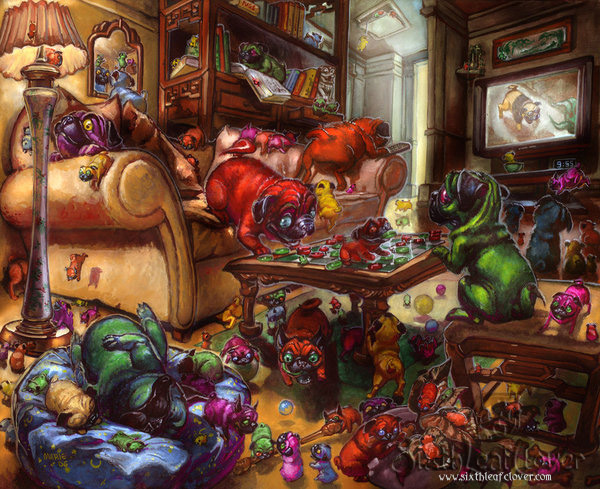 A room full of.... colorful rainbow pugs! Bwhahaha. Done with: Gouache ...and Insanity.